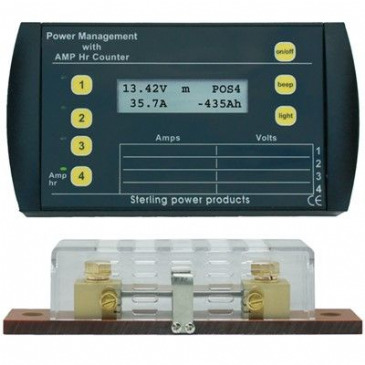 Pro-Counter Power Management Panel. Up to four monitoring channels available. Channel 4 reads voltage, current and Amp-hour usage. Channels 1-3 read voltage and current only. Supplied with one 200A shunt. 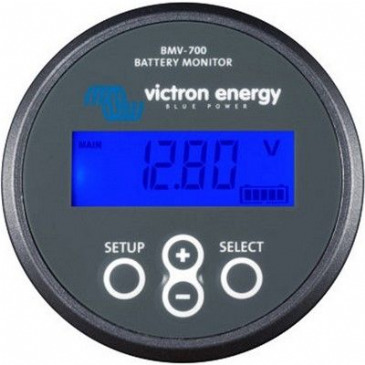 The BMV-702 is our newest high precision battery monitor. 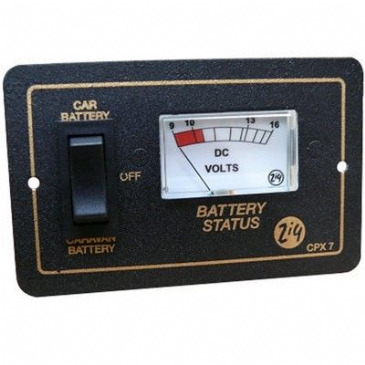 The essential function of a battery monitor is to calculate ampere-hours consumed and the state of charge of a battery. The new BMV700 monitor displays: • Battery voltage (V) • Charge/discharge current (A) • Ampere-hours consumed (Ah) • State of charge (%) • Time to go at the current rate of discharge • KWh consumption. New scrolling text display. Voltage range 9 - 90V DC Visual and audible alarm: over & under voltage, and/or battery discharged. 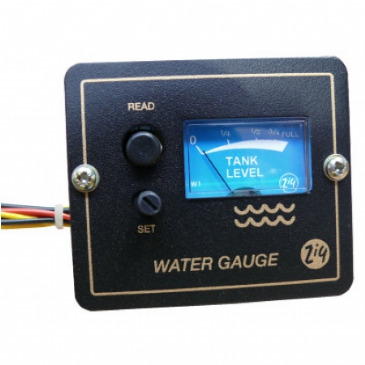 This Zig 12v Water Level Gauge is suitable for fresh and waste water plastic or metal tanks, and can be fitted to portable water carriers. 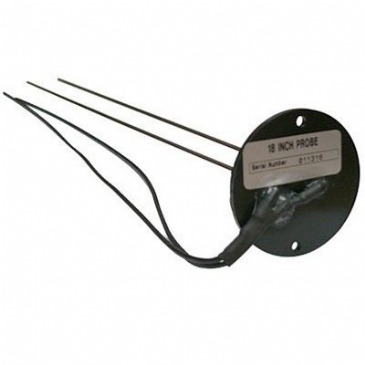 Zig 18" water level probe. 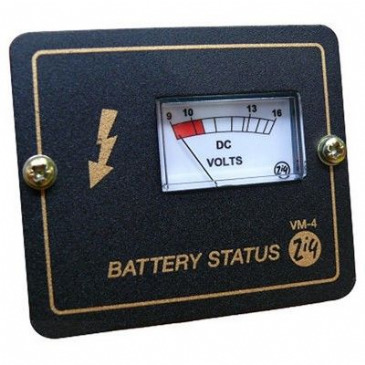 Zig VM4 Battery Condition Meter Voltmeter This Zig VM4 Battery Condition Meter Voltmeter is specially designed for use in your caravan, motorhome, or campervan. Only two connections are required for accurate battery conditions readings. The Zig VM4 meter's scale reads from 8v to 15v with warning areas either side of the optimum voltage.